Unlike alcohol and nicotine, painkiller addictions have slowly entered society at hidden levels. Both white- and blue-collar workers can be addicted to painkillers because this drug is widespread across many socioeconomic areas. If you or a loved one are struggling with painkiller addiction, it’s important to understand the background behind this substance. How to stop abusing painkillers starts with education and continues with professional help as you find your way back to sobriety. The pharmaceutical industry is a profitable one, and these companies create prescription drugs specifically for doctors’ uses. After a standard surgery, patients don’t have to rely on IV lines in a hospital for pain relief. They can return home much faster with a bottle of pain-relieving pills. However, this convenience has a dark side. Patients can become addicted to these drugs because they are true narcotics, such as Oxycodone and Vicodin. Patients might innocently take an extra pain pill one day for extreme discomfort, but they soon realize that they’re taking even more pills as the days go by. Addiction has taken hold of those ailing patients. The addiction issue is compounded by the easy access to the home’s medicine cabinet. A patient recovering from surgery might put their painkillers in the bathroom. Other adults and even teenagers may be curious about those drugs, and they subsequently sneak a pill or two. It’s possible for the patient and loved ones to be addicted at once if everyone is trying the drug out. Anyone can take a pill in a quick second and not be discovered, unlike other drugs that require injection, snorting or smoking. An easy high is the allure of painkillers, but addicts pay for that high over many years with recovery struggles. Many addicts go for months or years without admitting to a problem. These people are often referred to as functioning drug addicts. They might take the pills in the afternoon and evening. In the morning, they may feel groggy or irritable, but they still go about their daily routine. However, the allure of painkillers remains in their minds for the entire day. This type of addiction cannot be controlled, and it will become dysfunctional as the addict takes more substances to achieve the same high as before. Because painkillers are by prescription only, addicts may find themselves without the substance at some point. A doctor won’t fill out a refill slip, or a neighbor’s medicine cabinet is empty. When painkiller supplies dwindle, addicts look for other outlets that can create that desired high. Heroin, for example, might be readily available in the neighborhood. This drug is also low cost for the addict, but it comes with a steep, addictive price. As a result, some painkiller addicts become hooked on other substances that may be more dangerous than the prescribed narcotics. Admitting that you have an addiction problem is the first step toward sobriety. The next step is locating a facility that has the expertise regarding your addiction, such as New York drug & alcohol detox centers. You’ll initially meet with the professionals to discuss your goals. For most patients, you’ll enter detox and an inpatient program. Doctors will deal with the physical cravings, but you need to concentrate the rest of your program time on the mental side of your addiction. 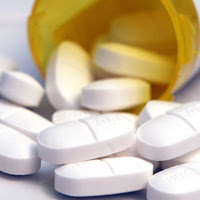 Understanding why you take painkillers is part of the recovery process. Once you graduate into an outpatient program, your recovery still continues. In the real world, there will still be painkillers in medicine cabinets. You’ll need to learn how to deal with drugs being nearby without taking them. The recovery process is ongoing, but you’ll have the necessary support to move confidently through life. Attend a group session where you talk about your temptations if the addiction is wearing on you. Create a bond with a mentor who knows what you’re going through. Painkiller addiction can be fought with tools and knowledge learned at your treatment program. Whether you’re recovering from addiction or trying to avoid it, there are other painkilling alternatives if you do require relief from a trauma or injury. Speak to your doctor about non-narcotic pain relief. Although they’re less common, these drugs can be prescribed by doctors in order to protect the patient from potential addiction. It takes concerted effort to remain sober, and you must be adamant about your prescription-drug choices as a result.